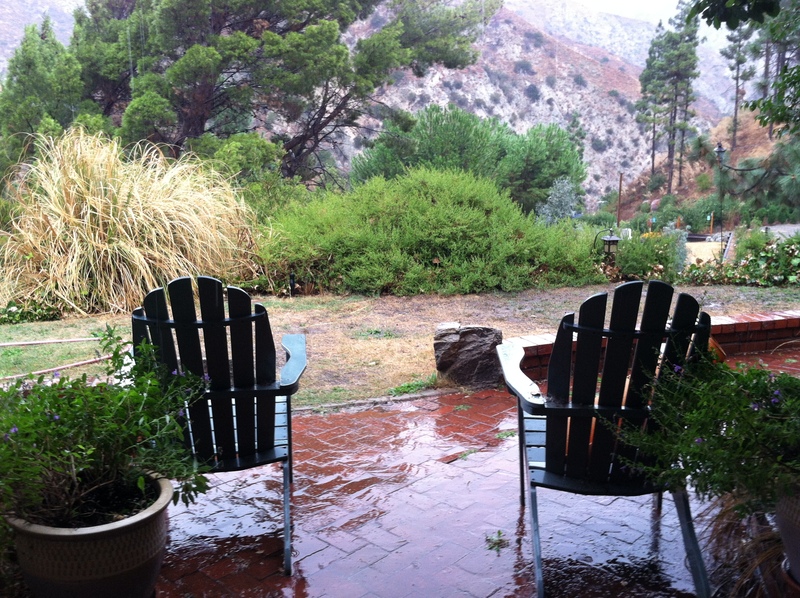 When it Rains…I Love It! The view from my front porch where I won’t be spending much time in the next few months! Okay, I’ve been hesitant to write a blog since my return from Italy and I figured out why. I miss it and I think it was my way of prolonging the experience. But, like so much in life that we look forward to with such excitement, we must learn to look back on it with fondness and gratefulness. I feel so thankful for my time in Venice, yet it is only with the promise that I will return that I can ease the gentle twist on my heart that is so much like home sickness. And not just that, but while I was in Venice I sold a new book! The hardcover of “Invisible Ellen’ will be out spring summer of 2014. Yep, 2014. Here’s what non-writers don’t know. I wrote the book, I worked with an editor on my own, I had it copy edited, it sold—and now the work begins. The book was picked up by a senior editor at Penguin. Nita has been around for a while, she was so excited about Invisible Ellen that she bought it in two days. I think that’s a record, my agent had to ask her twice what book she was calling him about, he’d never had that happen before, and that’s all great. But this is one savvy woman, and her notes are both insightful and extensive. So I have 400 plus pages of homework, and every note she gave me is good, complex, and requires major thought, creativity and old-fashioned hours of work. Yea!! I do love this part, it’s intimidating at first, but as I go, I usually realize that what seems like a major story changer that will require massive rewrites can actually be condensed into touching up a few segments. I should be able to get it done in a month. Except of course, I’m producing and acting in a film at the same time. Yesterday we had our leading man tell us that he’s booked a major movie for some of the same dates as our filming, and that’s all good for us, publicity wise, but when you’ve packed the majority of a film into 15 days, and scheduled cranes, jibs, dollies, camera packages, crew, makeup, special effects, other actors, locations, reworking the schedule is equivalent to putting your good china in a large wooden box and shaking it really hard, then sorting out the pieces and gluing them back together. So…not a lot of time for delving back into Ellen’s very unique and complex story. Yep, when it rains, I say, bring it. I don’t know if you are like me, but I find that the more I have to do, the more I get done. So, here’s my blog wisdom for the day— when it comes, take it on, you will find a way. Oh, yeah, and also, because we had to slide the film shoot, on top of everything else, I insisted that we be done filming in time for younger daughter’s graduation and my older daughter’s move-out day from college. Because nothing is more important than living your life. I didn’t take 10 years off of TV and film to raise my girls to miss those landmarks now. I love acting and writing, and being a mom and a wife. I will do each of these things to very best of my ability. So, here it goes, ask, receive, do. Success isn’t the job you have, it’s how well you do it. And do it with joy, what else is there? Previous postLaughter in Hallowed Places.